I stepped into this charming 1915 American Foursquare style house at 501 Lakeview Park on a sunny afternoon and light was dancing through prism and stained glass windows. I entered through an enclosed front porch and walked through the original beveled glass front door into a large foyer. As a child, I lived in a house of this style and the large foyer is where we had the piano and a Morris chair that was a great reading spot. Recently, I have seen this room used as a family or computer room. 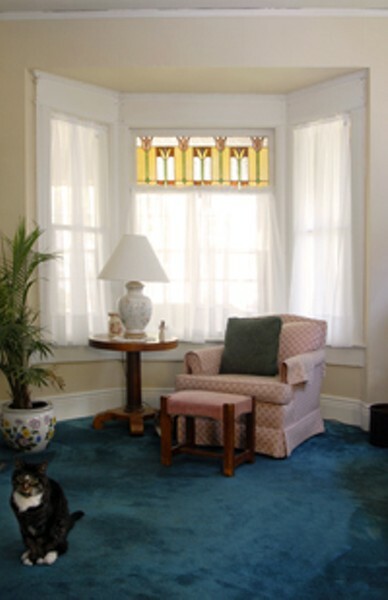 The living room is bright and sunny with rainbows from the lovely craftsman style stained glass window in the front of the house. 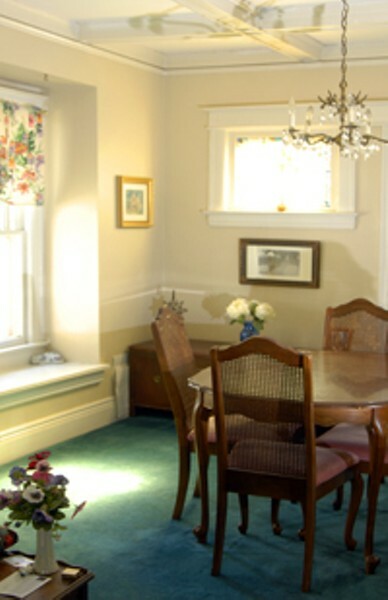 The dining room ceiling is beamed and there is a window seat in the box window that faces the childhood home of Rochester Mayor Robert Duffy. A former closet off of the dining room has been converted to a powder room. The original pantry connected to the kitchen now has a small sink and counter top that could be easily removed to return the room to its former use as a pantry. There is a nice efficient kitchen with a stainless steel sink and the gas stove and refrigerator are included. There is a door that opens to the backyard and one leading to the side exit and to the basement. The basement, where the gas furnace and hot water heater are located, is clean and dry, and the washer and dryer stay. The stairs to the second floor are a nice architectural feature of the front foyer. Upstairs you will find hard wood floors, original door handles, and 3 bedrooms. All bedrooms have closets and the one in the largest bedroom is generous. The bathroom is large with good storage, countertop and mirror. On the cool sunny day of my visit, the enclosed porch at the end of the hall was warm and inviting. The homeowner says she likes this room in the treetops overlooking her backyard with shrubs, peonies, and hosta. The 1½ car garage helps to enclose and make this back yard private. 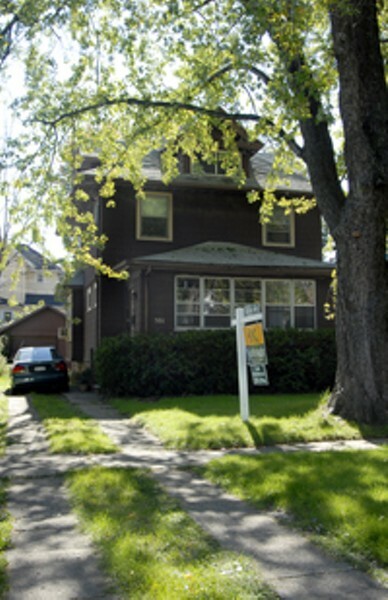 The homeowner has enjoyed being a part of the Maplewood neighborhood, which is full of architecturally interesting homes and large shade trees. 501 is near the west end of Lakeview Park, where the famed Driving Park Race Track was located. The early residents of the neighborhood were largely Kodak employees. The builder’s lovely home is right across the street. The active Maplewood Neighbors Association meets monthly and ably represents the neighborhood. Popular spots in the neighborhood include the Claude Bragdon-designed Maplewood YMCA, the Frederick Law Olmstead company-designed Maplewood Rose Garden, the Maplewood Library, Aquinas, John Marshall and Nazareth Academy high schools, Sacred Heart Cathedral, and much more. 501 Lakeview Park has 1725 square feet on 0.10 acres and is being offered for $46,900, with taxes of $2451. If you are interested in this home, please contact Sam Morreale with Nothnagle Realtors. He can be reached through his office at 266-5560 or 339-3966 or via email: smorreale@nothnagle.com. Sharon Pratt is member of the Webster Museum Historic Properties Committee and a former Landmark Society staff member.